Terri Cahoon truly believes the words of Alfred, Lord Tennyson, "I am a part of all that I have met." 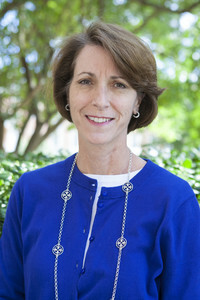 Since coming to Samford University in 2003 after being recruited by two professors who were starting the nurse anesthesia program, Cahoon has worked to make a difference. "I know that I have been shaped by so many people I have been blessed to know. I cherish the fact that others have shared themselves with me and made me what I am. I realize the responsibility to honor their generosity by paying it forward and helping shape the lives of those around me. I also like to remind our students that many preceptors, family members, supporters and others have contributed to their education. I encourage them to pay it forward," she said.